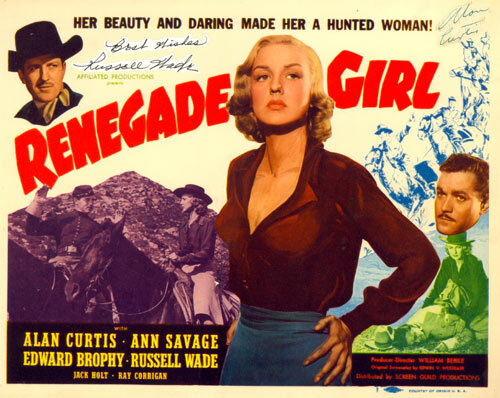 Although best known for the film noir classic “Detour” (‘45), Ann Savage co-starred in several westerns as well. 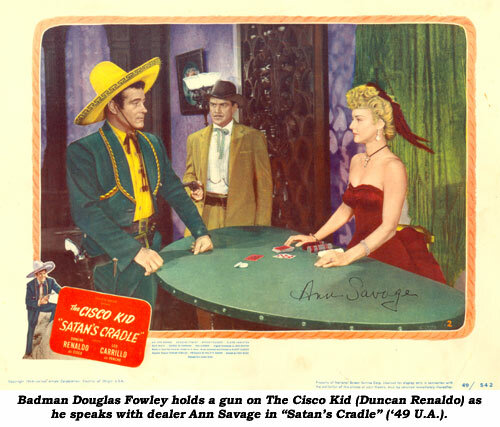 Eddie Muller, in his DARK CITY DAMES film noir book (‘01) wrote that Ann was “a combustible combination of brazen guts and crushing insecurity,” hiding her fears behind “a hardened facade.” Ann agreed, “I had this attitude that no one will get to me.” Ann agreed with Muller’s book that about the time of the making of these two westerns she dated Hayden, who was in the midst of divorce proceedings. The studio’s PR department asked her to back off, the publicity wasn’t good. But Ann told them, “Nobody tells me what to do.” Eventually, a “Hands off Hayden” edict came down to Ann from the top, studio head Harry Cohn. 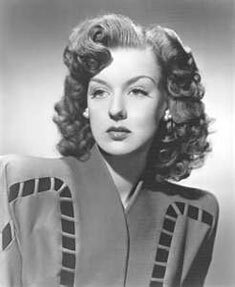 The vivacious Ann Savage died at 87 on Christmas Day, 2008. 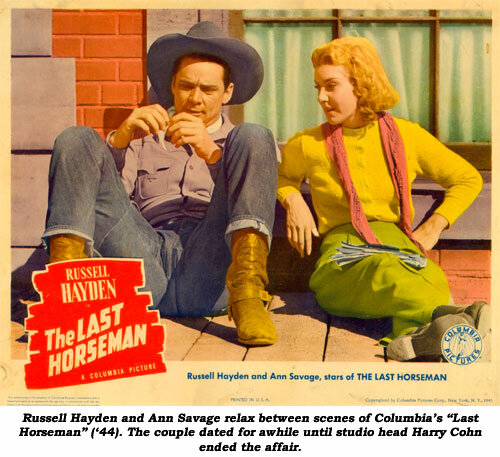 Movies: Saddles and Sagebrush (‘43 Columbia)—Russell Hayden; Klondike Kate (‘43 Columbia)—Tom Neal; Last Horseman (‘44 Columbia)—Russell Hayden; Renegade Girl (‘46 Lippert)—Alan Curtis; Satan’s Cradle (‘49 United Artists)—Duncan Renaldo; Woman They Almost Lynched (‘53 Republic)—Joan Leslie. 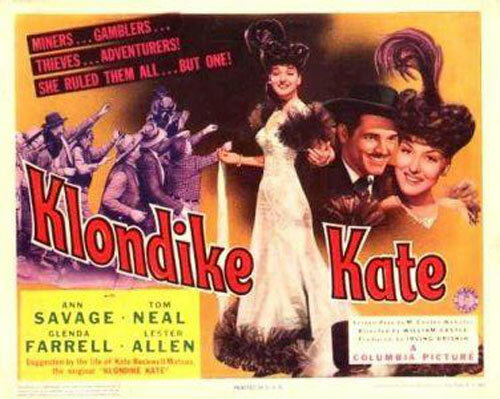 TV: Death Valley Days: Diamond Babe (‘53).